Behind the Scenes with Leo & Roxy Yarn Co - Spun Fibre Arts, a local and online yarn store specializing in natural fibres. In anticipation of this Saturday's trunk show, we asked the dyers behind Leo & Roxy Yarn Co a few questions. We think you'll love their answers!! 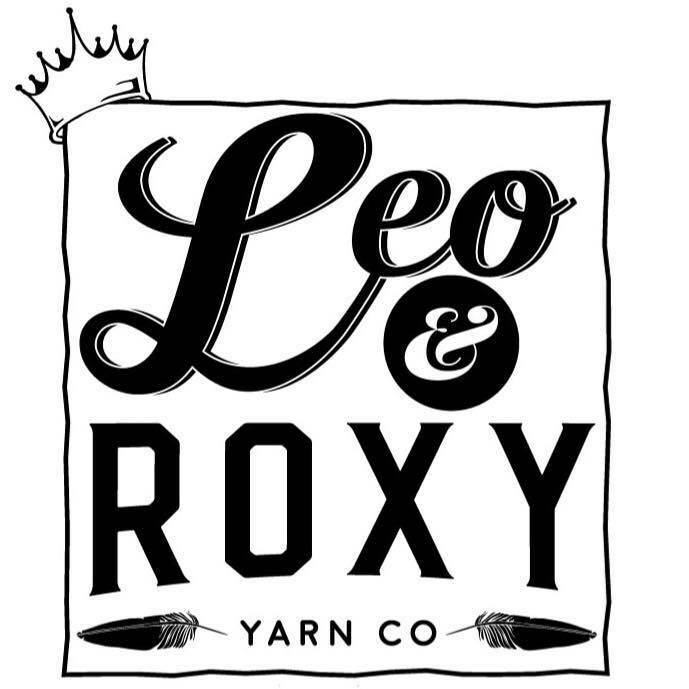 Kerri and Jolyn are the dyers behind the yarn label Leo & Roxy Yarn Co. We asked them a few questions to get to know them a little better, and now we love them even more!! 1) Tell us a little bit about yourself and Leo & Roxy. First, to clear things up, we’re not Leo or Roxy – they’re just our ‘animal inspiration’. LEO is a 1 year-old rambunctious, Rambouillet and sibling of ‘Socks’ and ‘Gansey’ at the Gardner homestead. While a bit young yet, all will be donating their yearly shearings for an up-and-coming farm to needle product line of custom harvested, spun, and dyed yarn provided direct from our farm Baaaaaad Boys lol -stay tuned. As for ROXY, she’s our colour mascot – a 1 year-old, Green Cheek Conure with some serious sass – who’s now growing into her colours and inspiring our need to be colourfully creative, and have fun doing so (and occasionally bites but we’re working on that). 2) How long have you been dyeing yarn? How did you get started? Jolyn and I have been dyeing yarn together for about a year now but we are both life-long 'makers.' It wasn't until we met through our knitting community that Leo & Roxy Yarn Co. became our brainchild. 3) Where do you draw your dyeing inspiration from? Where DON'T we draw our dying inspiration from?!?!? With two people comes two dyeing styles and two creative visions. We think that's what makes Leo & Roxy so unique! 4) What is your favourite colourway right now? 5) What yarns are you most excited to bring to Spun for your trunk show? Anything new? We're pretty stoked about our Doctor Who series. It's fairly new and was created as a surprise for Jolyn when she was on vacation recently. We're hoping to bring a brand new addition to that line to Spun!